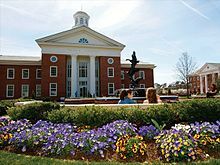 In 1960 the city of Newport News joined together with the Commonwealth of Virginia to create Christopher Newport College (CNC), which opened its doors in 1961 and at the time was located in the old John W. Daniel School building. 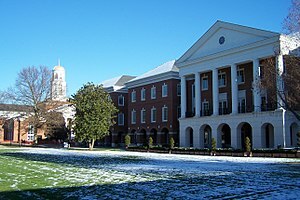 The college was founded as an extension of the College of William & Mary and offered extension courses that had already been available in the area for some time. In 1964 the college was relocated to its current location, a 75-acre (300,000 m2) tract of land purchased and donated by the city. 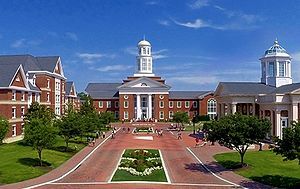 In this same year, the college's first permanent building was dedicated as Christopher Newport Hall. In 1971, CNC became a four-year college; however, it remained an extension of William & Mary until 1977 when it attained its independence. In 1992, the college became a university under the leadership of President Anthony R. Santoro, who oversaw the building of the first residence hall. 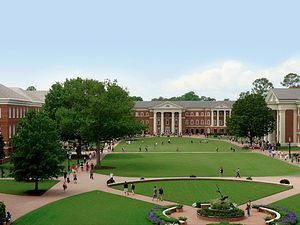 In 1996, CNU made plans to become more competitive. Those plans included the expansion of university property, several new buildings and residence halls, as well as overhauling academic programs and the admission process. The School of Business is accredited by the AACSB and offers bachelor's degrees in Accounting, Finance, Management and Marketing. Worldwide, only 5% of business schools has AACSB international accreditation. The Fine Art Department, located in the back of the Ferguson Center, offers a degree in fine arts with concentrations in art history and studio art. CNU sports club programs include ice hockey, equestrian, dressage, cycling, fishing, lacrosse, martial arts, rock climbing, rugby, scuba diving, silver storm dance, soccer, swimming, table tennis, tennis, ultimate frisbee, rowing and volleyball. Sophomore housing currently consists of James River Hall, opened in 2000, half of Potomac River Hall, opened in 2004, as well as Warwick River Hall, opened in 2012. James River Hall boasts a variety of floor plans, including 4-, 5-, and 6-person apartments, 4-person suites, and three 15-person Theme Units. Potomac Hall, like York River Hall, is divided into two buildings (North/ South), and consists of suites of two bedrooms, located around a central living room and bath. Warwick River Hall is the newest residence hall on campus and accommodates 447 students in 4-, 5-, and 6-person suites each with a shared living room and bathroom. Juniors and Seniors living on campus are generally assigned to either East Campus or Rappahannock River Hall. James River Hall also accommodates Juniors and Seniors in apartment style dorms. CNU is currently planning construction on a dedicated upperclassmen residence, to be called "Shenandoah Hall." It is expected to house more than 200 seniors and to open in summer 2020. Starting in 2009, five sororities and four fraternities live in Barclay Apartments, CNU's temporary Greek Village, and any additional fraternities and sororities live in the adjacent townhouses of CNU Landing as of 2012[update]. 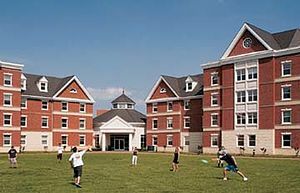 Completed in 2002, CNU Apartments is a complex of five buildings of three or four stories, housing up to 355 students. These buildings, named after Virginia-born presidents, include Washington, Jefferson, Madison, Harrison, and Monroe. 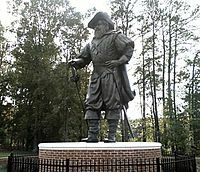 The CNU Village rose to accompany CNU Apartments in 2005, adding room for an additional 398 students in apartment living. Both the apartments and the Village feature 2 to 4 single bedroom apartments with a common living area (full kitchen, living room/dinette, washer and dryer). Below CNU Village, along Warwick Blvd., are a variety of eating establishments including Panera Bread, Moe's Southwest Grill, Subway, 7-11, Sushi & Spice, and Schooners, opened by three local restaurateurs who wanted to fill a void left by the lack of a social outlet on campus. The first dining facility on campus was originally named Harbour Lights. This all-you-can-eat cafeteria style facility is decorated internally with nautical memorabilia to go along with its name. In 2005 Harbour Lights was renamed to the Hiden-Hussey Commons. Newer students just refer to it as "The Commons." The dining hall was expanded in 2012 to include additional seating, serving lines, and a patio. Regattas Restaurant is the newest dining hall on CNU's campus. Opened in 2002 inside the David Student Union, Regattas shares a similar format to the Hiden-Hussey Commons with the all-you-can-eat cafeteria style. Regattas, however, sports a more up-tempo environment and often features hand made waffle cones for ice cream and custom made omelettes. It is also home to CNU's Mongolian Grill. Regattas began an expansion in 2017 which was completed in Spring of 2018. The David Student Union (DSU) is a $36 million, 116,000-square-foot (10,800 m2) facility whose construction began in 2003 and opened September 9, 2006. Constructed in a "Neo-Georgian" architectural style, the first floor contains the campus Convenience Store, parallel the DSU dining facilities: The Discovery Bistro, Discovery Cafe, Chick-fil-A, Discovery Pizza, and Regatta's. The campus Bookstore and Convenience Store closed during the Fall 2010 semester in favor of an online bookstore and instead contains a student lounge, admissions office, and apparel store. All on-campus students receive a mailbox and access to a full-service Post Office located on the second floor of the DSU. Four large conference rooms named for past U.S. Presidents are located around a central lobby area at the top of the steps. The Ballroom is also located on the second floor. The building provides offices for Student Life, The Captain's Log, Career Development, International Studies, Academic Advising, and others. Private desks with computers are provided for students as well as quiet study sections and recreational areas. The building was named in honor of William R. and Goldie R. David. In early 2009, the Mariners' Museum Library relocated to the Trible Library, providing students and the community with convenient access to the largest maritime history collection in the Western Hemisphere. The Paul and Rosemary Trible Library was slated for another expansion beginning in 2016 which would add another floor to the back portion of the facility. Due to the renovations, the Mariners' Museum Library moved back to the Mariners' Museum and reopened in Fall 2017. The Captain's Log is a student run organization that acts as the official newspaper of Christopher Newport University. Currents is CNU's completely student-run literary magazine. Students from all disciplines may submit poetry, fiction, creative non-fiction, playwriting, and lyrics. 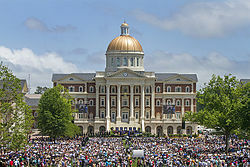 Currents is also CNU's oldest on-campus organization. WCNU Radio is a student-run, non-commercial, web-based radio station.